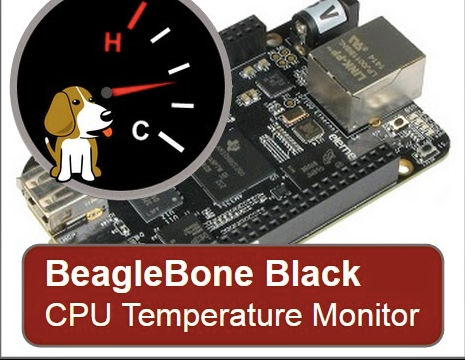 Monitor The Temperature Of Your Beaglebone Black CPU #BeagleBoneBlack @TXInstruments @BeagleBoardOrg « Adafruit Industries – Makers, hackers, artists, designers and engineers! The BeagleBone Black is rated for operation at ambient temperatures from 0-to-50C (32-to-122F). In many applications it can be helpful to know what temperature the CPU is running at. The Texas Instrument AM3358 ARM Cortex processor (CPU) has a built-in temperature sensors to ensure safe operation. In this tutorial we’ll explore how this temperature sensor information can be easily accessed and displayed with just a few simple lines of code. You may want to consider a BeagleBone Starter kit.